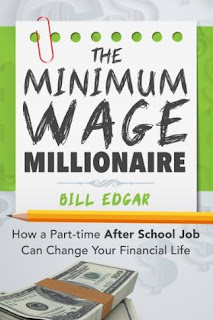 The Minimum Wage Millionaire by Bill Edgar is a must have book for every working or soon to be working teenager. 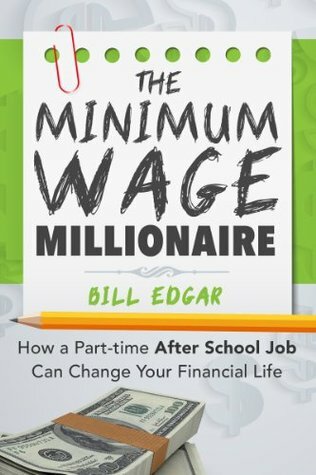 In under 100 pages, Edgar gives the average teen advice on the importance of saving and investing in order to secure his future. From smart saving to investing wisely to never touching your investments and more, The Minimum Wage Millionaire provides young people with the advice they need in a conversational and easy to understand manner. With graphs and full explanations, this book can help put your teen on the road to success. Also included is a list of resources with additional reading material, information on brokerages and investment advisors, and a list of career websites. If there was any book that should be required reading in high school, this is it. A frightening, yet fascinating story of greed, deceit, and murder can be found in Dead Reckoning. This is a true crime investigative account by Pulitzer Prize nominee Caitlin Rother. She lays out the story of Skylar Deleon, a former child star, who along with his wife and others plots to kill a retired couple and steal their yacht. Dead Reckoning is a chilling story. It reveals the horrible evil this world can contain. It leaves the reader wondering: are killers born or are they made? A life of abuse was all that Skylar Deleon knew. Did that turn him into the greedy, immoral person who could hatch a plot to steal the Hawkses' yacht and throw them overboard while they were still alive? Or was it the influence of his wife, Jennifer? Was Skylar willing to do anything to please her--even murder? 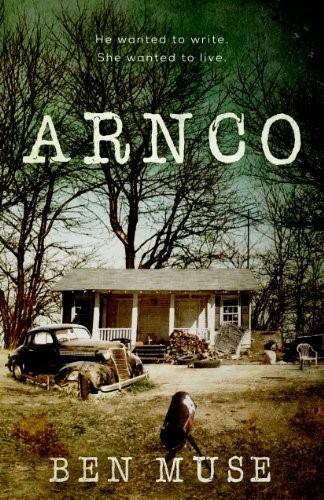 I've been fascinated by true crime stories for decades, and this is one of the best told books I've ever read. Rother covers all sides to this story. The reader learns about the Hawks family; Skylar and Jennifer and their families; the detectives on the case; the attorneys on both sides of the case; the family of Jon Jarvi--another of Skylar's victims, and Skylar's co-conspirators. The end of the book includes an interview Rother had with Skylar in prison. 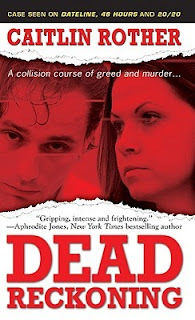 If you enjoy true crime, Dead Reckoning by Caitlin Rother is one book you shouldn't miss. 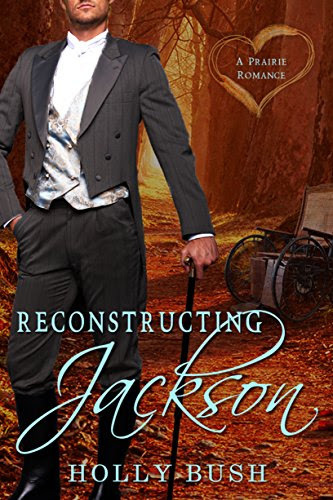 In January of 2013 I had the pleasure of reading Reconstructing Jackson by Holly Bush. With an updated cover, this Kindle book is currently on sale for only 99 cents. You have to grab it! I loved this book. It is superb. You can read my thoughts here. In this powerful collection of stories, author Kate Blackwell has opened hearts to deep human emotion. Her characters are so genuine they seem real. There are struggles: a southern bride with her list of books pining for a lost love; a mysterious letter telling of an illicit affair; a single mother trying to stay clean. Eloquently written, deeply moving, and filled with raw emotion, You Won't Remember This is literary fiction at its best. Lovers of Southern fiction, women's fiction, and exquisite short stories will be drawn to this book's pages. You Won’t Remember This is available at Amazon. Purchase book at Bacon Press Books. I received a copy of this book through Pump Up Your Book virtual book tours. This review contains my honest opinions, which I have not been compensated for in any way. I haven't quite finished reading this short story collection yet, so I figured I would post a spotlight today and my review on Friday. It's spring season for the housing market, so my time is a bit more limited than usual. What I have read was very enjoyable and engaging. Can't wait to finish this one. Check back on Friday for my full review. 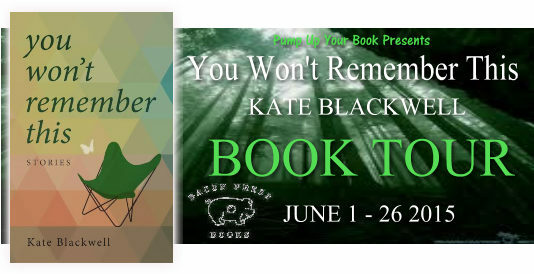 KATE BLACKWELL worked as a journalist and editor before turning full-time to fiction. 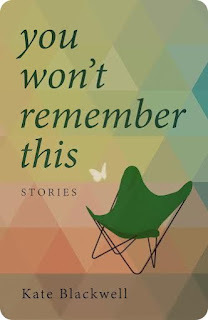 Her first collection, YOU WON’T REMEMBER THIS, was published in hardback in 2007 by Southern Methodist University Press. Her stories have appeared in numerous journals, including Agni, Prairie Schooner, New Letters, Carve, The Literary Review, The Greensboro Review, Sojourner, and So To Speak. She lives in Washington, DC. Connect with Kate on Facebook. 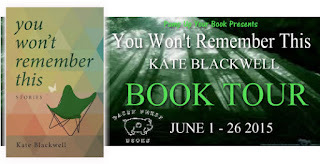 Find out more about Kate at Goodreads. 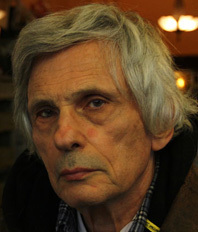 Bitter Bronx is another fine literary achievement from the talented pen of Jerome Charyn. 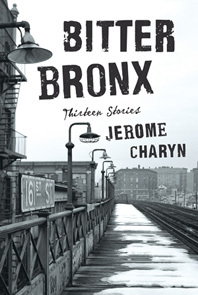 With this collection of thirteen stories, Charyn depicts a Bronx forever changed by Robert Moses and his destruction of the borough he believed he could rescue by dividing it with a highway, destroying entire neighborhoods in his quest. No stranger to Charyn's work, I eagerly signed up for this tour. His ability to evoke such strong emotions through his characters is second to none and his eloquent prose draws you in from the start. These characters are flawed in such a way that you wish to close the book and tuck it away; but like the scene of a horrific accident, you can't help but peer into these people's lives as they struggle against poverty, greed, perversions, and organized crime. This is a world of war widows and mobsters, of insanity and depression, of a Bronx forever divided into north and south. Every word of this collection shouts New York: what I've come to love, what intrigues me as I walk its streets, what makes me shake my head in confusion. Charyn remains one of the greatest and most influential literary geniuses of our time. I received a free copy of this book from the publisher through Tribute Books Blog Tours. This review contains my honest opinion, which I have not been compensated for in any way. 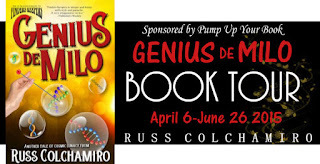 I viewed the first chapter of the sci-fi comedy Genius de Milo by Russ Colchamiro from the Pump Up Your Book website. The Earth has started fluxing in and out of existence, Theo's twin girls are teleporting, and Jason can't tell which version of his life is real. All because of Milo, the Universe's ultimate gremlin. 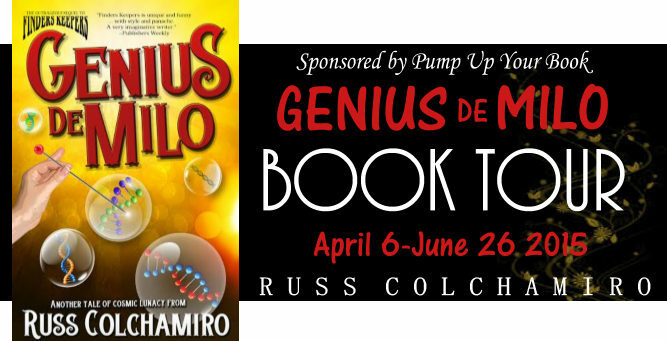 In author Russ Colchamiro’s uproarious sequel to Finders Keepers, he finally confirms what we've long suspected — that there’s no galactic Milo quite like a Genius de Milo. FIRST CHAPTER: Brigsby is drinking a snifter of chocolate milk and watching an episode of LOST when the TV flickers. He and Lawrence have a lively conversation, but Brigsby would prefer to wait until tomorrow to deal with Milo and his antics. KEEP READING: Sure. It's not my usual fare, but my interest is piqued. The banter between Brigsby and Lawrence is witty enough and I really want to know exactly who Milo is and what he's after. I would also like to meet Jason and Theo to learn how they play into all of this. THIS WEEK’S RANDOM QUESTION:Do you have a favorite book from childhood? What is it? It is so tough to choose a book from my childhood. There were so many and they were truly wonderful: Green Eggs and Ham, The Little Red Hen, ABC by Dr. Seuss, and Good Night, Little Bear. But of all those beginning books I read as a kid, The Poky Little Puppy and The Little Engine That Could were the two books I read the most. I am often drawn to message-driven fiction, so it's no surprise I enjoy these two books. How about you? What are some of your childhood favorites? It's been a while since I participated in this meme. Part of the issue is that my time is limited. The other reasons are that it's not always posted on the hosting website until after I am at work or I don't want to post a link on the host's site when I won't be home to return comments from my fellow bloggers. I am hoping this week will be a bit slower around here. 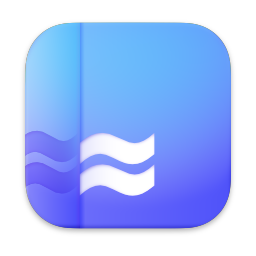 Time for a quick blogging update. 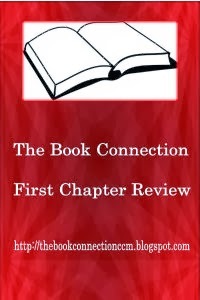 Last week at The Book Connection I shared one bargain and one free e-book and posted interviews with Linda Weaver Clarke and Russ Colchamiro. At The Busy Mom's Daily I posted a Mailbox Monday, photos from when my hubby and I renewed our vows last weekend, and reviewed the Grace of Gratitude Journal. 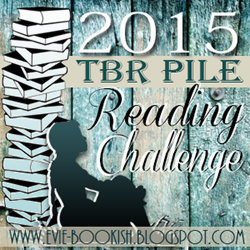 And finally, I took some time to read/listen to the Harry Potter and the Sorcerer's Stone. It's not my standard review, but it does talk about why I understand how this series became so wildly popular. You can find my post here. The Countess and the Barbarian! Krystyna came to America a titled refugee, but Jason McIntire bought her as an indentured servant and took her home to his plantation. Spies out to trap her were everywhere and the fight for her virtue was relentless--until she finally found refuge in Jason's passionate embrace and learned what freedom really meant! I’m married with four-year-old twins – my little ninjas. A boy and a girl. We were living in Queens, NY, until about 18 months ago, and now we live in West Orange, NJ, so it’s back to the suburbs. And I’ve got a birthday coming up – 44 in May. Yikes. How did that happen? I was born in Hempstead, but grew up mostly in Merrick, both on Long Island. One great memory I have is a picnic I went to when I was about nine or so – I believe at Eisenhower Park on Long Island. I went with a friend of mine, someone I’m still friends with today. We ate corn on the cob and sausages and watermelon, and I hit a home run in softball where I slid under the tag at home plate. I’m not actually sure if I was safe or not, but the call went my way, so it was awesome. I started tinkering with stories as early as the 4th grade, got serious for a while in high school, and then again in college. By the time I was in my mid-late 20s I started throwing myself into it full bore. I also became a journalist along the way, so I’ve been writing my entire adult life. Predominantly at night, after my kids go to bed. I used to write early in the morning, but since I became a dad, that’s not really possible. My debut novel Finders Keepers is loosely based on a series of backpacking trips I took through Europe and New Zealand, set against a quest for a jar that contains the Universe's DNA. And whereas Finders Keepers was set predominantly in Europe and New Zealand, the action in Genius de Milo has shifted mostly to the U.S. And, of course, there's lots going on in Eternity, the 'cosmic' realm where the Universe is created. It’s the second book in the series, which wasn’t always inevitable. When I wrote Finders Keepers, in my mind it was a single, stand-alone novel. But I left it open-ended in case I thought of something later. 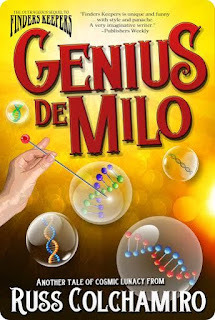 But I wrote Genius de Milo with the understanding that it needed to work on three levels: as a satisfying, self-contained novel that new readers can enjoy even if they haven’t read Finders Keepers; as the second novel in the Finders Keepers trilogy that both continues and enhances the overall narrative and individual story arcs; and structurally as a lead-in to the final, upcoming novel that will conclude the trilogy. My wife. Her total faith in me makes it easier to keep on going, even when it’s difficult. She gives me my space to do what I need to do. I used to belong to critique groups –- including one I started and ran -– but they really don’t work for me, because as a novelist I want feedback all at once on the entire manuscript. Unfortunately, that’s pretty much unworkable when you are sharing the group time among various writers. Instead I work with 2 or 3 trusted beta readers who give me the kind of feedback I need. Two of them are great at calling b.s. on me whenever something doesn’t seem to work, make sense, or has gaps in logic. Another is great about structure and pacing. And then I hire an excellent copy editor to go through the manuscript line by line, word by word, to make sure there are no spelling mistakes, bad grammar, etc. If you’re getting feedback like, “I like that,” or “I didn’t like that,” or “you’re great,” then to me it’s not helpful. I need –- and believe what all writers need –- is specific, technical notes that go towards a clean, tight manuscript. Nothing wrong with getting some cheerleader-type feedback, but if that’s all you’re getting, it will be very difficult to improve your manuscript, or as a writer. My favorites include Kurt Vonnegut and David McCullough, but if I had to pick just one I’d say Christopher Moore. To my mind he’s the consistently funniest author of our generation. If we’re including all fiction writers I’d add comic book creators Alan Moore, Kurt Busiek, and Frank Miller in his prime. I had an agent, but with the shift in the industry it hasn’t been as necessary for me to work with one. 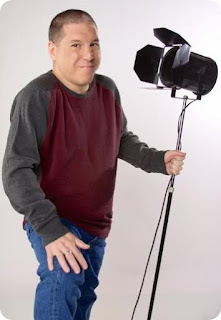 I’m open to working with my agent again –- or a new agent –- but for the time being I don’t feel any pressure to go that route. When I published Finders Keepers in October 2010 … I didn’t know it then, but it was right before e-books took over the market … and also in the middle of what turned out to be the biggest economic downturn in a century. Ouch. Three different publishers wanted Finders Keepers, but they were gun-shy at the time because of the economy. 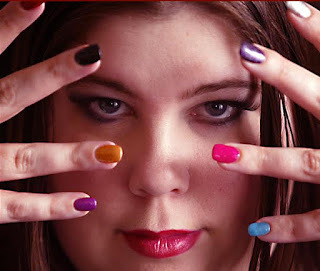 So I went with a small indie publisher, Three Finger Prints, with success right away. I was able to land a national distribution contract (uncommon for a first-time author), with Finders Keepers carried by several Barnes & Noble stores throughout the U.S. Finders Keepers also received very supportive write-ups, including one reviewer who said I belong in a group that includes Terry Pratchett, Douglas Adams, and Christopher Moore. I have to say, that was pretty cool. And then right after Finders Keepers debuted, e-books revolutionized the way readers consume novels, and since then, for authors it’s been a new and ever-changing world. I wound up reprinting Finders Keepers through Crazy 8 Press so that I now have my entire catalogue under one imprint, and control all of the rights. Hell yes! I would have pushed to finish my book about a year earlier -- before I had my kids! LOL! I also would have done an initial POD print run instead of making a bulk order. I’ve moved a lot of my original copies, but it wasn’t necessary to print so many. I hired a terrific illustrator to produce a series of character cards, which you can see here. I’ve sold many books as a result, particularly when I showcase them at signings. Be clear with yourself about what you hope to accomplish. Writing and then getting published are exciting accomplishments you should be proud of. But selling books is quite another side of things, and there’s no way to know how many – or how few – books you will ultimately sell. If you are going in with the idea that you’re going to make lots of money, well … I wish you tons of luck. But as they say, don’t quit your day job! I’ll be doing a bunch of signings and appearances this year, while I write the third and final book in the Finders Keepers trilogy, due out in the second half of 2016. I’ll also be contributing a short story to Pangaea, the alternate world anthology from my partners and me at Crazy 8 Press, and was successfully funded through Kickstarter. Pangaea will be out in the fall of 2015. Linda Weaver Clarke travels throughout the United States, teaching a “Family Legacy Workshop” at libraries, encouraging others to turn their family history and autobiography into a variety of interesting stories. 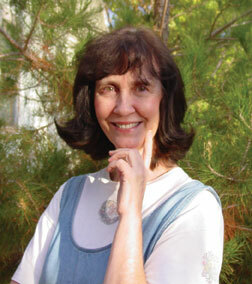 She has been married for over forty years and is a mother and grandmother. 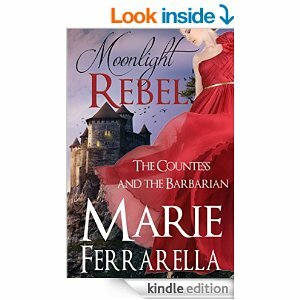 Her books include the historical romances: Melinda and the Wild West (an award winning novel), Edith and the Mysterious Stranger, Jenny’s Dream, Sarah's Special Gift, Elena- Woman of Courage, and The Rebels of Cordovia. An Adventure/Mystery series, The Adventures of John and Julia Evans, includes the following novels: Anasazi Intrigue, Mayan Intrigue, Montezuma Intrigue, and Desert Intrigue. Her Amelia Moore Detective Series includes: The Bali Mystery, The Shamrock Case, The Missing Heir, The Mysterious Doll, and Her Lost Love. Did you like to read cozy mysteries when you were growing up? Not really. I read Black Beauty, Little Women, Tom Sawyer, and other classics because that was what my parents had in the bookshelf. We didn’t live near a library. I lived out in the country, so I had to read what the schools gave us or from our own bookshelf. The Bali Mystery: Amelia Moore Detective Series. It was so much fun to write and I received so many wonderful reviews that I was encouraged to continue. That is usually expected with mysteries. They are always part of a series. Coming up with a plot that no one can figure out. I have fooled most everyone who has read my books. Trying not to let out too much information and ruin the plot. I have to keep my readers guessing. I love Hercule Poirot, a Belgian detective, by Agatha Christie. I love the TV series. She’s a genius when it comes to mysteries. 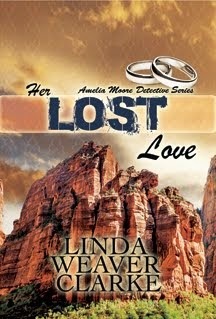 I’m excited to announce this mystery series is going to be an audio book. The first book, The Bali Mystery, will be out soon. Diane Lehman is the reader and she portrays Amelia and Rick so perfectly. He is so masculine and she is so feminine and spunky. Love it. The rest of the characters, accents and all, were done very well. She had me laughing out loud in some parts. It was so easy to picture everything in my mind as I listened to her. For anyone who loves to read a long-lost-love story, here is what this book is about: Julie Anderson feels a need to find the man she fell deeply in love with during her youth. When Julie went off to college to become a lawyer, she lost contact with her high school sweetheart. She now wants to know what became of Joey and why he stopped writing to her? This is an assignment that intrigues Amelia. The thought of finding a long-lost love seems quite romantic. You may find sample chapters of my books on my website and it will take you to the links for purchase at Amazon and Smashwords. My website is www.lindaweaverclarke.com.